What makes Monday bearable?? Awesome nails. Was so inspired by @paulinaspassions mani I had to straight up copy it!! Isn't it gorgeous? So classy. Perfect mani girl! Polishes I used wee OPI 'My Favorite Ornament', 'My Vampire Is Buff' & that amazing deep red is 'Just Be-Clause' from the Gwen Stefani holiday collection :) studs are from eBay and I did the spots using two dotting tools. 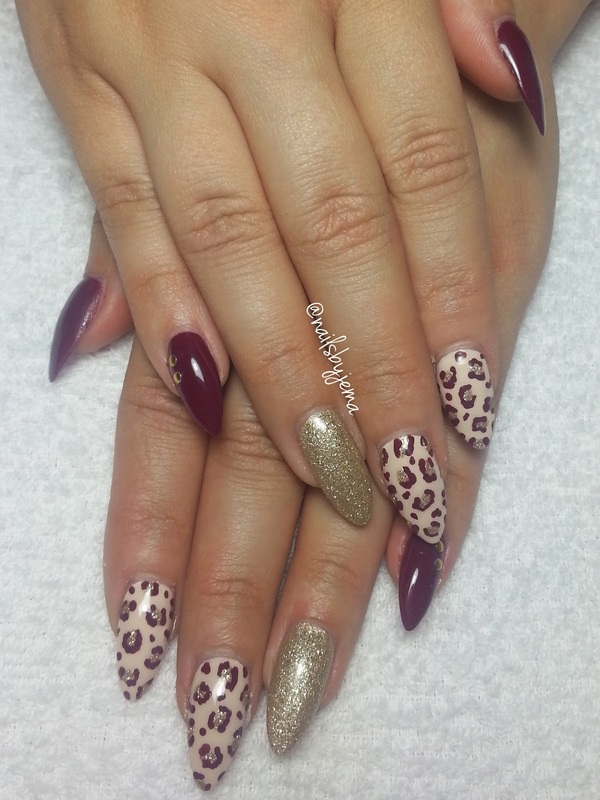 This is one of those manis that you hate the idea of removing. I think it will be around for a few days. My girl Jenny even wanted this exact design on her nails when I did them for her birthday. They are the ultimate in sophistication I think!